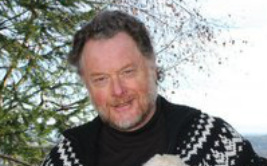 Bill Hinchcliff, a medical intuitive, energy healer, herbal healer, and author of his book “The Inner Power Of Healing” is presenting this workshop. Following the death of his wife he has dedicated his life to these modalities of healing in order to find alternatives that will help people heal without the devastating complications of modern medicine. Cancer has been a major concern since his wife died from this disease but what has followed is the understanding that we are the physician’s and can heal our own bodies, all others are facilitators. We do have the power to self-heal and it is only the individual that has this power.